Good news! We’ve extended the Early-Bird deadline through this Friday, September 28. 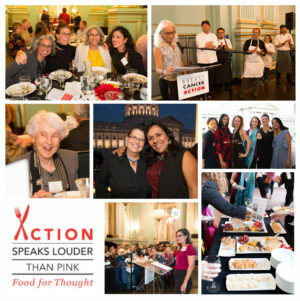 Haven’t got your ticket for our 8th Annual Action Speaks Louder Than Pink – Food for Thought fundraising dinner yet? Now is your last chance before the price goes up! Vegan options for all courses available upon request. The venue is wheelchair accessible. Food for Thought offers the opportunity to spend time with the Breast Cancer Action community while enjoying a delicious plant-based four-course dinner. Plus, we’ll highlight this year’s Think Before You Pink® campaign. 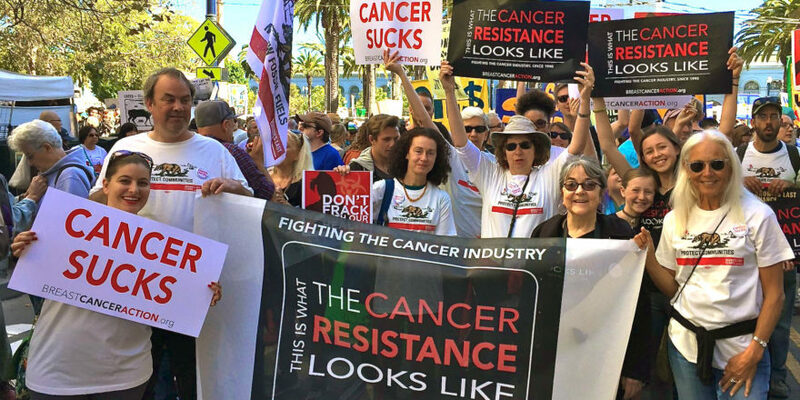 If you can’t be there in person, please consider joining us in spirit by making a donation to support our work to achieve health justice for all women at risk of and living with breast cancer. This entry was posted in Articles, BCA Events, BCA News, E-Alerts. ← Pinktober is Coming. Get Ready. 2 Responses to Early-Bird Ticket Deadline Extended – Get Your Tickets Today! Is it just me or is the cost of a ticket for the event missing in your e-mail notice of the so-called early bird extension? ‘Get your ticket before the price goes up’ I believe it says. Goes up from what $$$$ price? Hi Pamela. Thanks for your comment. The ticket price will go up $25 to $175 after the Early-Bird deadline expires.